As the management team will tell you, Greencoat is the biggest innovation in packaging history. 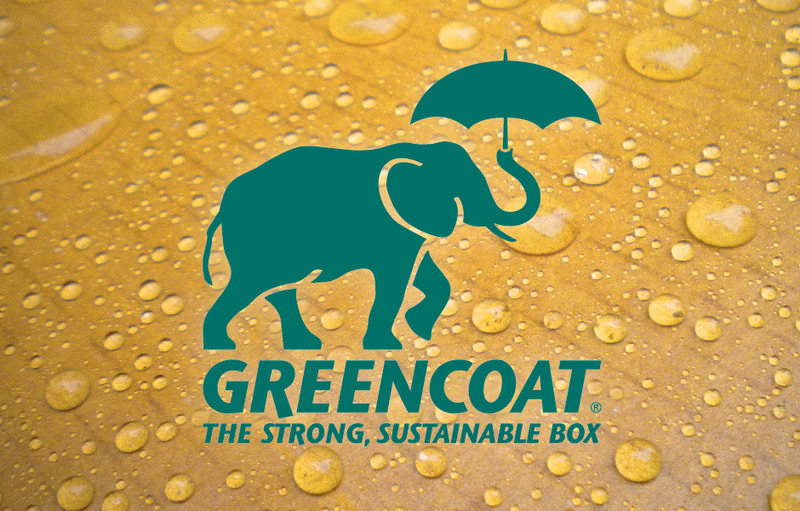 Why, because Greencoat is a sustainable, wax-free and water-resistant, coated box that is the ultimate solution to replace landfilled wax boxes, contaminated RPC (reusable plastic containers) and non-biodegradable EPS (expanded polystyrene). Greencoat goes beyond safeguarding clients product to protecting the environment. Greencoat boxes are not only 100% recyclable and repulpable but also affordable and strong. As the management team will also tell you, the original Greencoat elephant logo was drawn on a napkin in a bar. Yes, in a bar! The elephant for strength, the umbrella for water resistance. CrossRoads Studios was tasked with evolving and strengthening the graphic elements and structure. As part of the process, CrossRoads Studios conducted in-depth reviews of competitors and various environmental sustainability programs. The graphics were enhanced and rejuvenated. This included a modified elephant, leaning forward for additional movement and strength along with a larger, better defined umbrella. To clarify the overall message, the elephant and umbrella incorporated the strong, yet evolutionary tag line, “The Strong, Sustainable Box”. Greencoat is the wax-free corrugated box of choice for some of the largest poultry and fresh produce operations in the U.S.
With customer interest and product development, Greencoat is expanding internationally and growing beyond the initial poultry industry and making a presence in new, sustainable categories. Applications exist for any company whose goods are transported and/or stored in moist conditions. As told to Greencoat: It may seem unusual to get this excited about corrugated boxes, but we are thrilled to highlight these recyclable products. If we were to replace all the unrecyclable packaging used across the country for seafood, produce, poultry, and meats, it would be the equivalent of shutting down an entire coal- red power plant with no loss of energy, and a tremendous gain in savings and revenue for grocers and restaurants. SUSTAINABILITY: Greencoat is Wax-free, 100% Recyclable, Repulpable, FDA-approved and Future Generation-Friendly. Greencoat positively impacts landfills by being a sustainable replacement for traditional wax boxes, reusable plastic crates and polystyrene foam packaging. 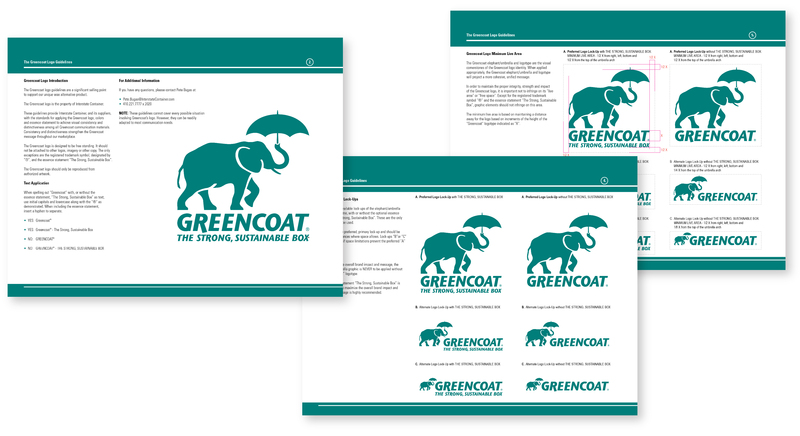 CLIENT NOTES: Today Greencoat is manufactured in Columbia, SC and Cambridge, MD. Interstate Resources produces Greencoat and is a member of London based DS Smith Plc with more than $6.7 billion in sales.